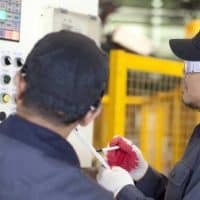 For the companies and people who are struggling to understand the concepts of reliability and precision maintenance I would like to offer a list of ten things any individual can start doing today to make an impact on equipment reliability at your plant AND how the maintenance organization is viewed at your facility. 1. Begin using data to support your cause – The best maintenance organizations understand that data drives the best business decisions. It’s no longer enough to say this pump or that machine is a piece of garbage, you need to prove it is. How often has it failed, how much have we spent on repairing the machine over the last two years and what were the product losses to the company in relation to the down time. If this machine is really has issues with reliability the data should clearly show this, compare the reliability of this machine to a similar assets. 2. Use RCA (Root Cause Analysis) to identify and eliminate causes – If you have been able to prove that a given asset has issues with reliability you should first look to identify the causes of why this machine is failing and look to eliminate or mitigate each of the causes. The nice thing about Root Cause Analysis is you don’t need to spend a fortune on training or software to get started. Read a book and open your Microsoft Excel and you can get started in identifying and mitigating causes next week. It’s important to remember that nearly every failure mode can have several causes so don’t stop after you think your found “the cause.” Keep working and identify as many causes as possible and I like to use a RCM decision process to address each potential cause. 3. Begin working with precision – Regardless of the course I am instructing as soon as I begin to stress the importance precision maintenance has on reliability I see one or two sets of eyes begin to roll and someone will say “We don’t get the time to use those fancy tools, we only have one torque wrench in the shop and we have never gotten a laser alignment tool.” Well then we need to begin collecting data that supports the need for these tools, I want one person to begin using the torque wrench on all the flanged connections he/she assembles and mark each one in some way that identifies it was assembled with the proper tools and hardware. Have another person who has dial indicators start performing precision alignment on rotating equipment where you are given the time to complete this and track these as well. Report to managers each month how many were performed correctly and also report any failures on equipment that was; A- assembled properly; B-failures on equipment where precision tools were not used. 4. Relieve some stress! It doesn’t take 10 years of experience for someone to be able to recognize pipe stress. Pipe stress comes from improperly supported or installed pipe flanges or fittings and is one of the most common failure modes we see in performing RCM Blitz™ (Reliability Centered Maintenance) on equipment at sites around the world. Pipe stress at pump connections will lead to premature pump bearing and seal failures as well as leaks at flanged connections and welds. Start today to identify and repair areas where piping connections are stressed from improper fit or support. 5. Close and secure your electrical and instrument panels – I have worked at plant sites all over the world and one of the telltale signs of a plant with major reliability issues are open or partly closed electrical and instrument panels. (Partly closed means one of the 8 bolts required to seal the panel door is installed; the rest are lose or missing.) This reason this is a sure sign of unreliability is these devices should be some of the most reliable components at your site and if the panel doors are not secured it means the technicians are constantly having to work in them. The real problems begin however when the doors are not properly sealed, this exposed the components to all the enemies of electricity, dust, dirt, and moisture will soon compromise the life of every component in the panel. Today is the day to reverse this trend, look for open or partly closed panels, clean them with a vacuum brush, replace the door gasket if needed and seal the panel the way it was designed to be. 6. Clean your motors – Having come from a company where the MTBF for critical electrical motors exceeded 20 years, I was shocked to find out about the issues most other companies have with electrical motors. One of the most common failure modes I address when analyzing electrical motor failures is overheating the motor due to the motor being dirty. Electrical motors are not designed to be run with a coating of dirt, dust or product built up all over the motor fins and fan guard. The buildup acts as an insulator and keeps the motor from cooling itself when in operation and will result breakdown of the motor insulation. Take a walk around your site and clean the motors with a wire brush and let your motors have some cool fresh air! 7. Organize and update your drawings – Somewhere along the line in the last 100 or so years, someone began telling maintenance people that you should never touch or write on a drawing and this could be further than the truth. Maintenance people NEED and should always have on hand an up to date set of drawings to work from. They should be informed the drawing is print, copy, or file that needs to be corrected and updated anytime we make a change to the equipment. One does not need to be an engineer to update a print and send it back through the proper channels to ensure the master is corrected. If fact your company should have in place a MOC (Management of Change) process for managing your equipment drawings. Learn that process today and begin work on updating the drawings for your critical assets. Accurate drawings will always reduce the MTTR (Mean Time To Restore) as this improves troubleshooting AND reduced the likelihood of other errors and incidents. 8. Educate yourself on sound lubrication practices and standards – A large percentage of all failures we address are lubrication related. Seems that same person that taught our maintenance people that they should never touch or update a drawing also decided 100 years ago, that lubrication is so simple and so intuitive that everyone should know how to lube the day after they first learn to walk. Now let me state that lubrication is so specialized that someone may not have a direct impact on plant reliability with what they learned in one day but today is the day you should start working to receive a MLT (Machine Lubrication Technician) certification. It is in this learning process that one will clearly see the flaws in your present lubrication program and what needs to be done to achieve lubrication excellence at your site. 9. Record accurate history – Good maintenance history begins and ends with the maintenance technicians. It is the technicians after all who actually do the hands-on work to with every task they perform but seldom to I tour a plant and see good and accurate failure history. As a maintenance tradesperson if you want to have an impact on the reliability at your site on a day to day basis, you must use precision maintenance tools and techniques on a daily basis AND you need to record accurately what you worked on. · What may have been the potential cause/causes of the failure? · How long did the repair take? · Were the necessary parts readily available? · Severely cracked or damaged foundation – to the point where the rotating equipment is loose or severely vibrating. · Rotating equipment is visually out of alignment – If you can see it, it’s real bad! I’m just guessing but if you have made a list of these items and compared them to the bad actors list from data collection step many of these locations will be on that list. In the end, this list could contain another ten or twenty items or suggestions and as always, I am interested in hearing your thoughts so please feel free to comment or add some additional items that you believe someone could do starting today to improve reliability at your site!